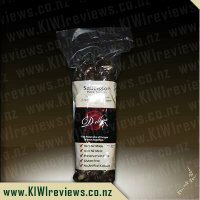 Traditionally made and cold-smoked using the finest NZ manuka chips. Packed with flavour. 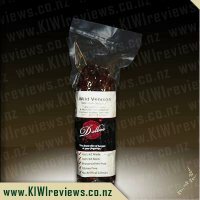 The big attraction for me with this wild Venison Salami is that is free of Preservative and artificial colours and of gluten. 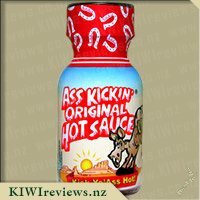 Being 100% NZ Meat with no nasty fillers the expectation is definitely that this will be a quality tasting product. 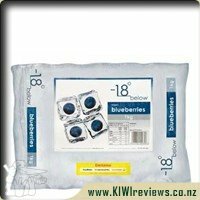 I did find it hard to get this out of the packaging as the paper information wrap is just a tad to tight around the plastic vacuum packaging of the salami. The taste of this salami on first taste is quite overpowering with the garlic and chilli. I love gamey meat and felt that the taste of the venison was a little overpowered by the spices used. It wasn&apos;t easy to slice thinly so was a bit hunky to be put on crackers. My husband and I had some of this by itself but I didn&apos;t really enjoy it so we decided to use it in a lentil dish for dinner. I had expected that the salami would become quite tender when cooked but it didn&apos;t. It also didn&apos;t loose its hotness so all three of the kids, although trying it, found it too overpowering and were unable to eat it. I think it was the chilli rather than the other flavours that they found too much. 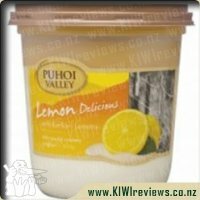 Hubby and I did enjoy our dinner but at $15 a packet that made for a very expensive meal! This is a very nice salami but the chilli isn&apos;t for me at all. If you like a tad of chilli then you may well enjoy this much more than I did. 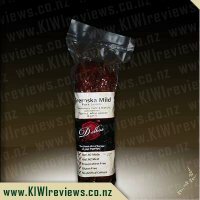 The price definitely puts it out of our weekly grocery shop budget and for the money I would prefer the milder products in this Delbos range of Salami. Having said that if you want a salami that is top quality and that will last without refrigeration then this is a fantastic product. 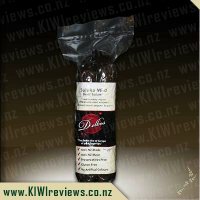 If I could get away with a one word review for Delbo&apos;s Wild Venison Salami it would be "Divine" but since I know I can&apos;t I&apos;ll have to explain why it is so good. For me supermarket salami is a treat food so to taste real quality salami is very rare indeed. 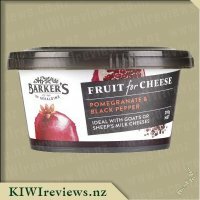 My husband and I both appreciated that we had a top of the range product and so most of it was eaten on its own so we could really savour the flavour. It was all real meat. There was no rubbishy fillers although the downside was that it was very difficult to slice neatly. There was a strong garlic and spice flavour but it wasn&apos;t too hot for us (we are both more medium rather than fire extinguisher hot). This strong flavour did however scare the children away so we didn&apos;t have to share any with them (bonus). I used some of this salami in some cheese muffins. 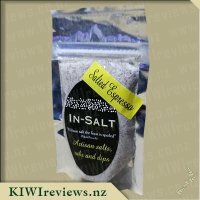 I didn&apos;t add any salt or other spices as I wanted the true salami flavour to come through. I took these around to a friend with teenagers. 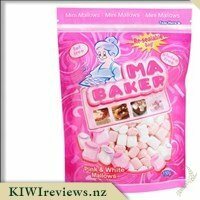 These were a hit and the extra muffins were gratefully accepted for lunchboxes the next day. They were great hot of cold and the flavour of the salami was intensified with heating. 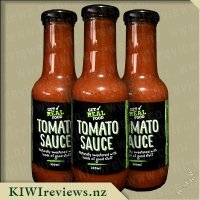 Due to the the price and the factor I will have to find somewhere that sells this delicious product it is not something I will be buying very often but when I do I will savour every mouthful. I can&apos;t wait to try the other Delbos salamis. 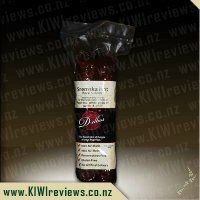 wow we were lucky enough to be given some of this salami to try - I say lucky because although I do buy and enjoy salami from the supermarket quite a bit, I don&apos;t often get to try the real deal ... which this stuff sure is! The salami comes packaged in a plastic wrap and then the 2 logs (folded back on each other, so each is fairly narrow in dimension) have the paper seal on them. The first time I took a bite, the flavour just hit me - there was definitely some garlic and spice happening in there, but it wasn&apos;t a hot spice, which I really enjoyed. I could seriously eat this all on it&apos;s own, but reading the plastic wrapper it gave a few suggestions of what it might go nicely with (which I thought was a great idea), although it pretty much said it goes with everything! So first I tried it on pizza with bacon, spinach, onions and other pretty standard stuff. The salami cooked up well although it&apos;s worth noting that it is fairly dense and chewy anyway, and cooking it probably made it even more so. I thought it gave the pizza great flavour, but my 5 year old wasn&apos;t so impressed - lucky she could pick it off and I happily ate it for her! For the last few days I have also been enjoying it on crackers with cheese and relish - also delicious. I noted that one of the things mentioned on the packet was that it went with hard boiled eggs, so I thought it might be nice in an omelet for breakfast - and it sure was. Yum! The salami stays fresh for quite some time before opening, but once you have opened it needs to be consumed within 7 days - trust me that wasn&apos;t a problem for me! 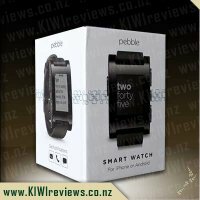 I know this product isn&apos;t cheap if you compare it with what is available at the supermarket. But I can certainly say that it is delicious and obviously good quality. 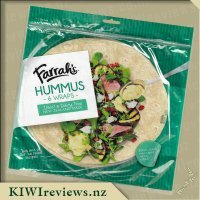 As much as I&apos;d love to buy this to have on hand to have regularly, I see this as more of an occasional treat, or something I&apos;d serve up as part of a gourmet platter for visitors.